Do you have a graphic card installed in your machine (what a lame question)? If yes, wondering is the graphic card in used is supported by SolidWorks? If you are not sure the answer, I can guide you how to get the answer. Go to Start Menu > All Program > SolidWorks 2011 > SolidWorks Tools > SolidWorks Rx. 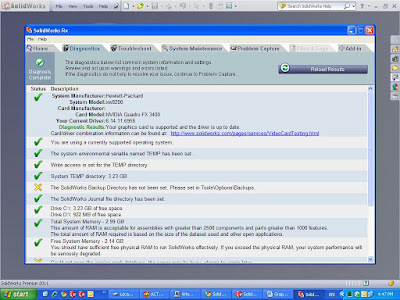 In SolidWorks Rx window, select the Diagnostics tab. The highlighted column will show you the graphic card model that installed in your machine. 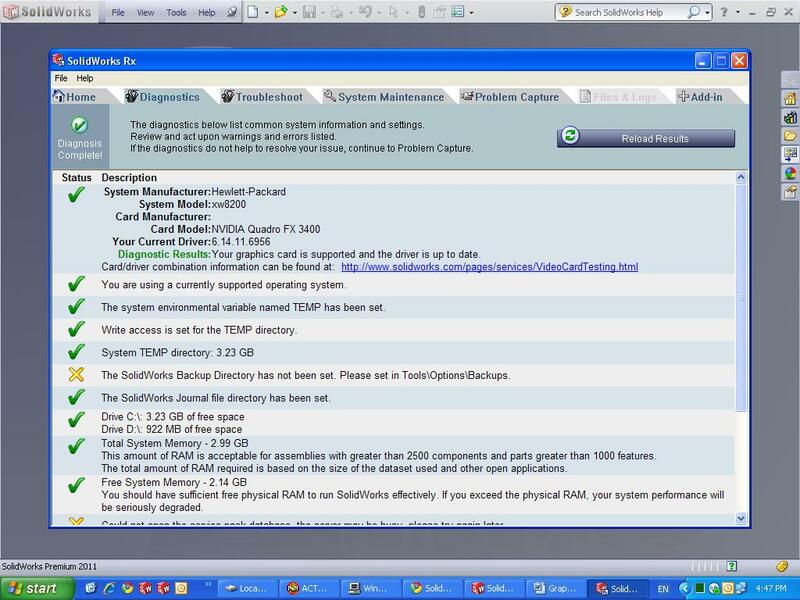 The diagnostics result will also let you know either is your graphic or the driver for the graphic card is supported by SolidWorks application. If you are looking for a graphic card, you can always go to the following link to look for the certified graphic card as well as the certified graphic card driver. 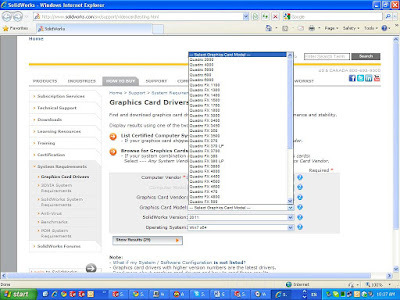 You may do the selection of the graphic card based on your SolidWorks Version; Operating System or preferable graphic card vendor. Chan (wlchan@cadcam.com.my) is the Application Engineer (AE), specialist in SolidWorks and SolidWorks simulation for IME group of companies. His analytical skill solve a lot of customers' stress and fatigue.